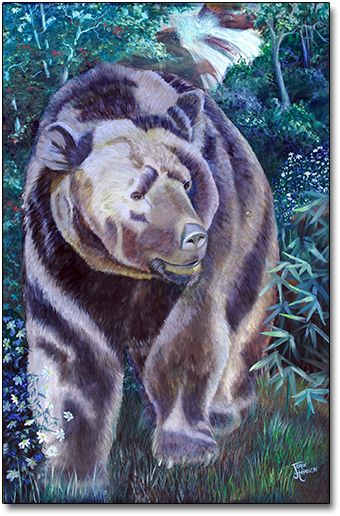 This oil painting gives you a peek into the life of a bear. 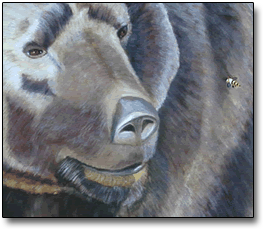 He has just had a delicious breakfast of salmon, and, as he pads away from the water through the spring wildflowers, he catches site of the honey bee. Now he's off to find the honey pot! purchasing a print of this image, please contact the artist.